While Camille Payton’s job title may be workers’ compensation attorney, she considers herself an advocate — a knowledgeable and powerful voice for those who have been hurt in workplaces across North Carolina. From representing hundreds of clients to co-authoring the Workers’ Compensation Forms Manual, her skills are a culmination of a 23-year career, taking up the cases of injured people in their time of need. As an undergraduate student, Payton majored in journalism. “In a sense, I’ve always been an advocate for the little guy. The people I wrote stories about early in my career were the milkman, the teachers, and small town government,” she says. Payton’s career evolved quickly, and she became an editor after six months as a professional reporter. This unique beginning allowed her to gain a new perspective on asking the right questions and ensuring accuracy of the facts — skills she didn’t realize at the time would be incredibly beneficial as an attorney. At Ward Black Law, Payton focuses primarily on serious back injury cases. “These are the cases that can take a worker out of commission for an extended time and be financially devastating to families,” she explains. With so much at stake, it is especially rewarding for Payton to ensure these workers are taken care of throughout their recovery. “Workers’ compensation benefits are designed to be a safety net, but the theory doesn’t hold true if a case isn’t handled properly,” she states. Payton’s goal is to help injured workers avoid the common pitfalls that can cause serious financial strain alongside the physical pain they’re already going through. 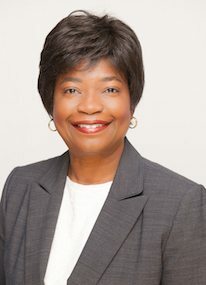 After establishing herself as a successful attorney, Payton took on a new challenge: co-authoring the Workers’ Compensation Forms Manual — a book designed to give workers’ compensation lawyers, new and veteran, examples of pleadings that can be used to obtain results with the NC Industrial Commission. Published by the North Carolina Bar Association, this book was a result of a diverse team’s commitment to capturing motions that the plaintiff’s attorney might file, answers that the defendants might file in response, proposed orders to submit with motions, as well as explanatory materials. “At the point in my career when we did this, I actually had navigated through the stage in every attorney’s life when you’re unsure of yourself. I remembered what it was like to need help, but be reticent to reach out to the same mentors for a thousand little questions. This manual is an extraordinary resource for those reasons,” Payton says. Payton is currently working on an updated edition of the forms manual, as rules at the Industrial Commission change from time to time. “It’s rewarding work because it requires me to be top of my game,” she adds. According to Payton, the most gratifying part of her job is knowing that she’s helped someone. “When the breadwinner of a family is worried about letting down those that depend upon him or her, we get a thrill when we can give them back hope and confidence,” she says. A lot of hours go into handling a workers’ compensation case; however, Payton is motivated by seeing how the service she provides lessens pain for her clients. Payton’s passion for helping others isn’t limited to her career with Ward Black Law. She remains active in the Greensboro community, volunteering at the homeless shelter, serving in her church, and serving on the boards of NC Legal Aid and YMCA Greensboro. Meeting people where they are has advanced Payton’s skill and passion for her career in a meaningful way. Payton and attorneys of Ward Black Law would like to offer you a free e-book, A Workers’ Comp Guide to Help You Avoid Costly Mistakes. This powerful resource helps you understand the perspective of the employer, the adjuster, and the injured worker, so you can be empowered to make the right decisions.